Now that I’m back in work, it is so important to me that I make healthy and yummy dinners that are quick and simple to make. I have a long commute home and need something quick and easy which doesn’t compromise on health. That’s where this Chinese stir fry comes in. I use pre packaged frozen ginger and garlic and packaged stir fry veg to make it even quicker. 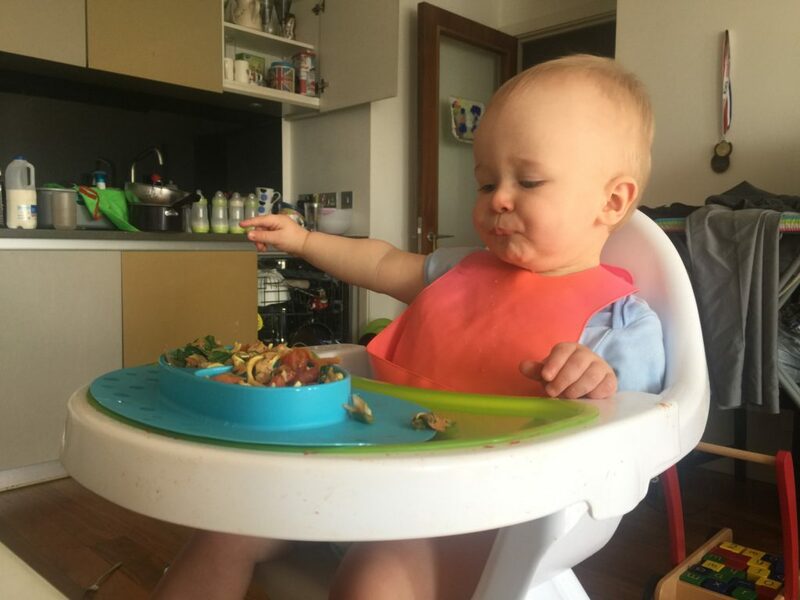 What’s more, it’s perfect for baby-led weaning and Dexter loves it! *Reduced salt soy sauce means there will be 0.6g of sodium per portion which while under the RDA for babies under 1 is still quite a lot. For this reason, I avoid salt for other meals given during the day including bread and crumpets which have hidden salt. Add oil to a wok/frying pan, then add ginger and garlic and fry for a minute. Add the turkey and stir fry until cooked through. Make the sauce by combining the ingredients listed and then adding a little water to increase the volume. If you like your sauce a little thicker, add a teaspoon of cornstarch. Add the stir fry veg and tomatoes to the stir fry and combine thoroughly, add the cooked noodles and combine again. Pour over your sauce and stir fry for one minute. Serve and enjoy. 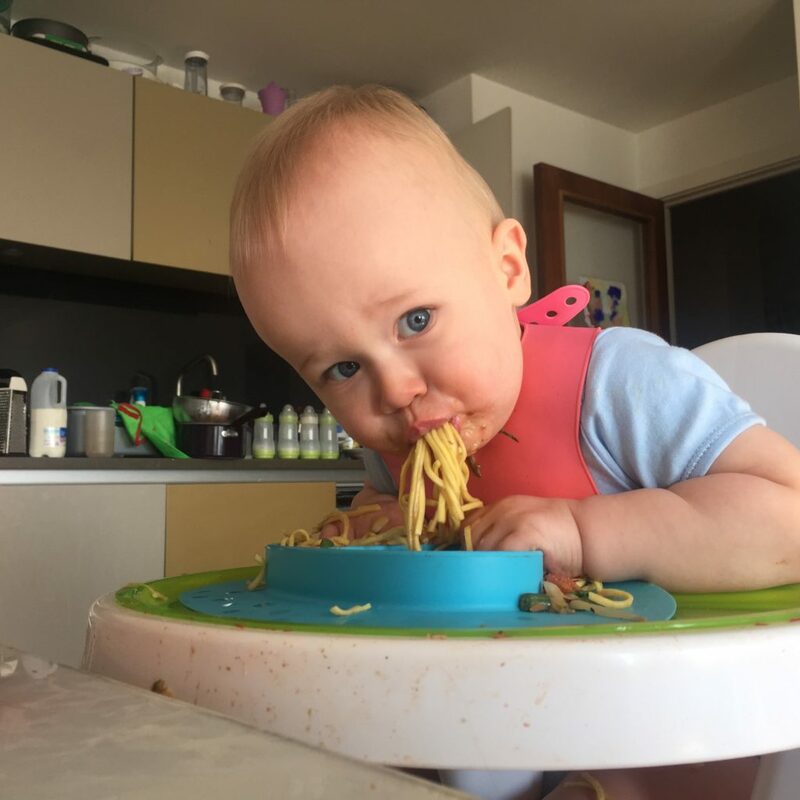 I like to cut the noodles for baby. Let me know what you think of this quick and easy meal. This is a meal we have on a regular basis because Dex seems to enjoy it so much. It is such an easy way to get extra veg in, not just for Dex but for my husband too! Check out the video below showing you how easy it really is! 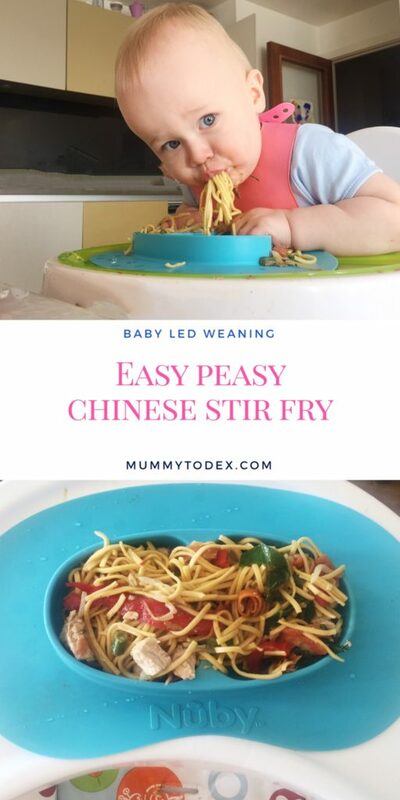 Looks so good – I love a stir fry for a nice quick meal, the peanut butter in this sounds delicious! He looks like he loves that. Will have to try this with Caspian, I’m sure it will be a hit.